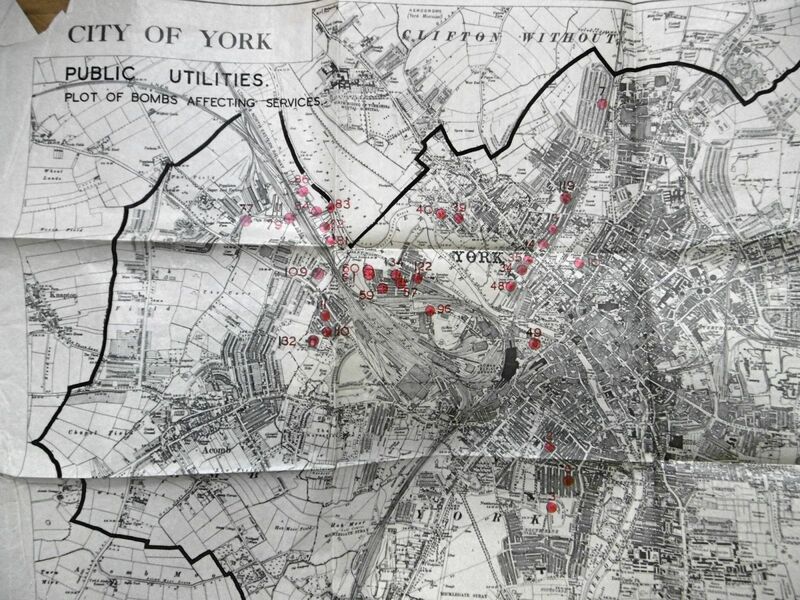 The following two images are from a map produced by the City of York that show the location of bombs which caused damage to the utilities (gas, water, electiricty, sewage). 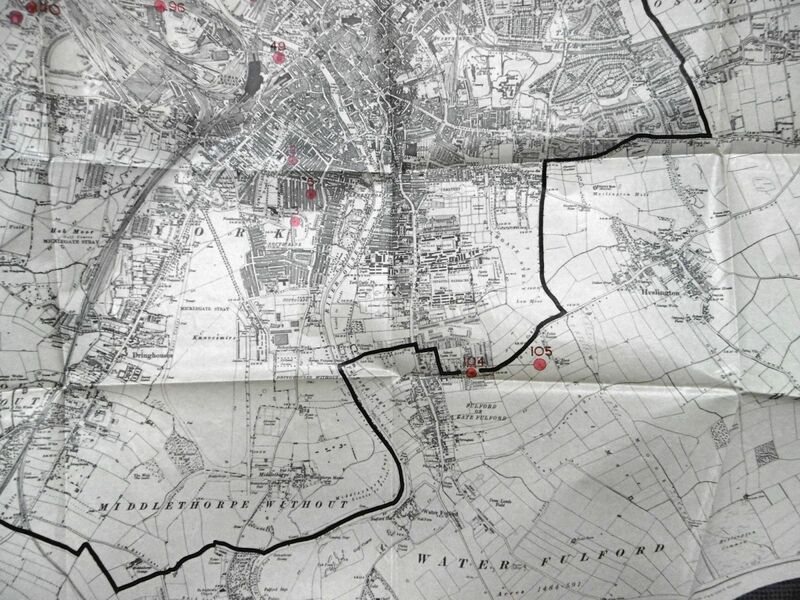 The numbers are linked to a list (not yet available) of every bomb dropped on York. Note: This map does not show damage outside of the city boundaries.......Clifton, Fulford etc. Clicking on either map will either display (in a new window) or download a larger version (2000 pixels). The action depends on your browser settings.